This nut- and soy-based vegan option has a fluffy ricotta-like texture that works beautifully in recipes. The three flavors add delicious versatility. The second I spotted Nutty Cow Cheese Alternative, I knew it was destined to be featured on this website. Ricotta-Style is basically the “Original” flavor with a more versatile profile. Interestingly enough, I actually liked this one best when paired with strong flavors. It tended to enhance and slightly mellow the dish. My favorite was a big dollop of this Nutty Cow Cheese in Moroccan Tagine. Though I did sample the Ricotta-Style in some vegan eggplant stackers (pictured below), for Italian, I preferred the pungent Garlic Herb. I’m a sucker for bold flavors, and this one packs a solid dose. I had never tried a sweet ricotta, but could definitely see the applications of the tasty Maple Pecan flavor – a slather on toast or waffles, folded into dairy-free crepes, and maybe even piped into muffins for a “surprise in the middle” recipe. 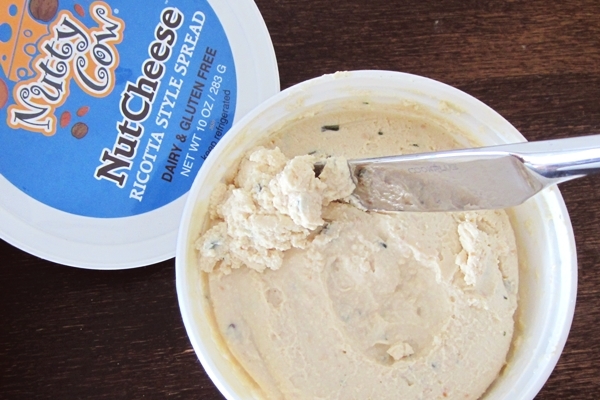 After reading several blogger reviews about the product, I expected more of a cream cheesy spread than a ricotta, but the “cheese” makers at Nutty Cow never stop improving their recipe. The three varieties that I received were certainly spreadable, but the tender texture of each could easily pass as a mock ricotta. So did it taste like ricotta? In going from memory, somewhat, but not exactly. Like many cheese alternatives, I wouldn’t go in expecting an exact duplicate. That said, I’m not one to compare – I just want to know if it’s good. 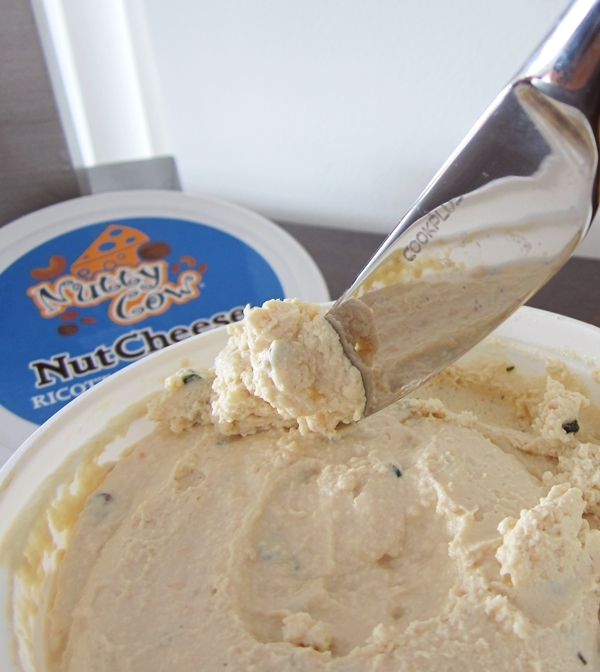 Nutty Cow Cheese alternative is definitely tasty and pretty darn versatile, to boot. And thanks to the fluffy ricotta-like texture and selection of flavors, it could easily stand-in for ricotta cheese in most recipes. Dietary Notes: By ingredients, these cheese alternatives are vegan, vegetarian, egg-free, dairy-free, gluten-free, and peanut-free. They do contain tree nuts and soy. Nonetheless, check with the company on their manufacturing processes for all varieties if potential allergen cross-contamination is an issue for you. Please note that processes, ingredients, and labeling are subject to change at any time for any company / product. 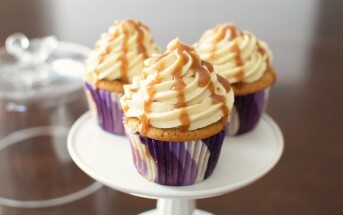 For More Product Information: Visit the Nutty Cow website at www.nuttycow.com. 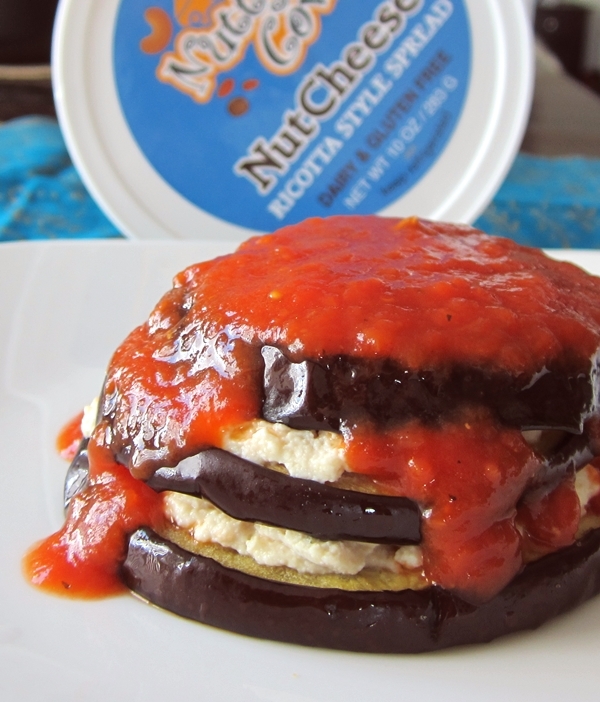 Is there an ingredient list somewhere for this Nuttycow cheese? Darn, it looks like they just recently went out of business Diane! 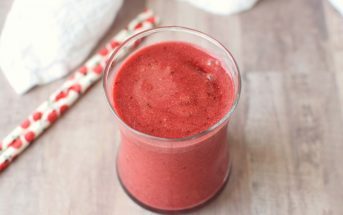 You can find more options in our cheese alternative reviews section – http://www.godairyfree.org/product-reviews/alternatives-cheese.